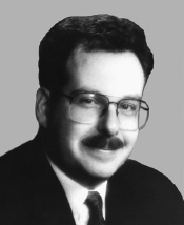 Michael Flanagan was a one-term Republican representative from Illinois who served from 1995 to 1997, the only Republican since 1967 to represent any part of the city of Chicago. Flanagan defeated eighteen-term incumbent Dan Rostenkowski by a margin of 54% to 46% in the midst of the Republican Revolution of 1994, becoming one of fifty-four freshmen Republicans elected that year. While his win was considered an upset, Rostenkowski was under indictment during the election. A party-line conservative who often allied with House personalities like then-Speaker Newt Gingrich, Flanagan was handily defeated in 1996 by Rod Blagojevich, 64% to 36%. Blagojevich went on to become Governor of Illinois, while Flanagan retired from politics to practice law.